Your privacy is important to us. This notice explains our online information practices and the choices you can make about the way your information is used at our site. We do not collect personally identifiable information about you – such as your name, address, telephone number, fax number, e-mail address, etc. – unless you choose to fill out a “Contact Us” form, found on many of the pages of the site or to email us directly. We do automatically collect certain non-personally identifiable information when you visit our site – such as the type of browser you are using, the type of operating system you are using, and the domain name of your Internet service provider (e.g., America Online, Earthlink). We use non-personally identifiable information to analyze site usage (such as aggregated information on the pages visited by our users), which allows us to improve the design and content of our site. In the ordinary course, we use personally identifiable information you provide solely to respond to your inquiry. We will not contact you about other matters, unless you specifically request it, nor will we share, rent, or sell your personally identifiable information outside the Monmouth Divorce Mediation, LLC. If you are interested in applying for a job at the Monmouth Divorce Mediation, LLC, and choose to submit resume information by email, we will use it only for the internal application review process. We will not voluntarily share, rent or sell it outside the Monmouth Divorce Mediation, LLC. However, it is possible, though unlikely, that we might be forced to disclose personally identifiable information in response to legal process or when we believe in good faith that the law requires it, for example, in response to a court order, subpoena or a law enforcement agency’s request. Also, we cannot guarantee the privacy of personal information you transmit over the web or that may be collectable in transit by others, including contractors who provide services to us. Our site contains links to other sites whose information practices may be different than ours. Visitors should consult the other sites’ privacy notices as we have no control over information that is submitted to, or collected by, these third parties. The Monmouth Divorce Mediation, LLC posts information about programs and events that are sponsored by or co-sponsored other firms or organizations. Should you choose to register electronically for any of these events, the Monmouth Divorce Mediation, LLC, will have no control over the third-party sponsors’ use of this information. As for our own use of your registration information, that will be handled by us as if you had registered by telephone or on paper. In other words, the privacy policies applicable to our Web site will not apply. A cookie is a text-only string of information that a website transfers to the cookie file of the browser on your computer’s hard disk so that the website can remember who you are. A cookie will typically contain the name of the domain from which the cookie has come, the “lifetime” of the cookie, and a value, usually a randomly generated unique number. To enable the personalization features on our website (which give you the ability to recall recently viewed pages and see information which you have input on line). To compile anonymous, aggregated statistics that allow us to understand how users use our site and to help us improve the structure of our website. We cannot identify you personally in this way. Two types of cookies may be used on this website, session cookies, which are temporary cookies that remain in the cookie file of your browser until you leave the site, and persistent cookies, which remain in the cookie file of your browser for much longer (though how long will depend on the lifetime of the specific cookie). We employ security measures to prevent unauthorized access to information that we collect online. However, we cannot guarantee the security of your personal information. We reserve the right to revise this policy or any part of it from time to time. Please review the policy periodically for changes. Welcome to the Website of the Monmouth Divorce Mediation, LLC (”Monmouth Divorce Mediation, LLC”). The Terms and Conditions for use of this site are written below. Please read them carefully. By using this site, you acknowledge that you both have read and accept these terms and conditions. If you do not agree with these terms and conditions, do not use this site. The information contained on this web site presents general information about the firm and its lawyers and is not intended to constitute legal advice. 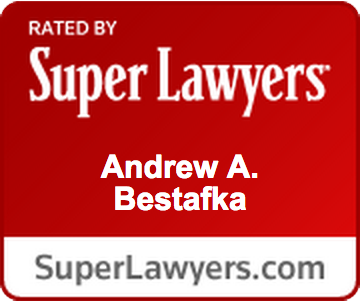 Any person viewing or receiving information from this web site should not act or refrain from acting on the basis of any such information without first seeking appropriate legal advice from an attorney. We invite you to contact us and welcome your calls, letters and electronic mail. Please realize that merely contacting us does not create an attorney-client relationship. Therefore, please refrain from sending any confidential information to us until such time as an attorney-client relationship has been established. 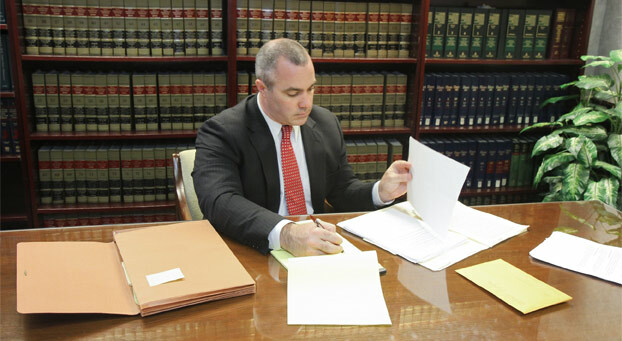 An attorney-client relationship can only be created by a written, signed-fee agreement entered into with an attorney. THIS SITE IS PROVIDED “AS IS.” THE Monmouth Divorce Mediation, LLC MAKES NO WARRANTIES OR REPRESENTATIONS OF ANY KIND ABOUT THIS SITE INCLUDING ITS SOFTWARE, CONTENT OR INFORMATION. THE Monmouth Divorce Mediation, LLC WILL HAVE NO LIABILITY FOR DAMAGES RESULTING FROM USE OF THIS SITE EVEN IF SUCH DAMAGES RESULT FROM ERRORS, NEGLIGENCE OR DELIBERATE ACTS OF THE Monmouth Divorce Mediation, LLC. THE Monmouth Divorce Mediation, LLC DOES NOT WARRANT THAT THIS SITE IS FREE FROM VIRUSES. AS IN ANY INTERNET TRANSACTION, THE Monmouth Divorce Mediation, LLC CANNOT CERTIFY THAT TRANSACTIONS ARE FREE FROM INTERCEPTION INTERFERENCE OR VIRUSES. THE Monmouth Divorce Mediation, LLC SHALL HAVE NO LIABILITY FOR ANY INFORMATION NOT RECEIVED BY YOU OR ANY UNAUTHORIZED ACCESS BY THIRD PARTIES. IF YOUR STATE DOES NOT PERMIT THIS WAIVER OF LIABILITY, THE Monmouth Divorce Mediation, LLC’S LIABILITY SHALL BE LIMITED TO THE AMOUNT YOU PAID TO ACCESS THIS SITE. THE Monmouth Divorce Mediation, LLC HAS NO CONTROL OVER OR RESPONSIBILITY FOR MATERIAL ON OTHER WEB SITES ACCESSED BY HYPERTEXT LINKS FROM THIS SITE. HYPERTEXT LINKS ARE PROVIDED ONLY AS A CONVENIENCE TO USERS OF THIS SITE. THE Monmouth Divorce Mediation, LLC DOES NOT VERIFY THE INFORMATION ON LINKED SITES AND DOES NOT ENDORSE THESE SITES OR THEIR SOURCE. This Website has been prepared solely for the purpose of providing information about the Monmouth Divorce Mediation, LLC and the services and products it offers. This Website has been compiled in good faith by The Monmouth Divorce Mediation, LLC. However, no representation is made as to the completeness or accuracy of the information it contains. In particular, you should be aware that this information may be incomplete, may contain errors or may have become out of date. The Monmouth Divorce Mediation, LLC reserves the right to add, modify or delete any information at this Website at any time. This publication and any references to products or services are provided “as is” without any warranty or implied term of any kind.